Christmas for the Goyers mean large family gatherings. My husband, John, came up with this fun and interactive idea. Below is the Scripture passage of the birth of Jesus. Notice some of the words are underlined. Each of the underlined words have a “sound effect” that go with them. Write out the words and the sound effects on slips of paper and have family members draw them from a jar. Then as the Bible story is read everyone must pay attention and say their sound effect at the right time. 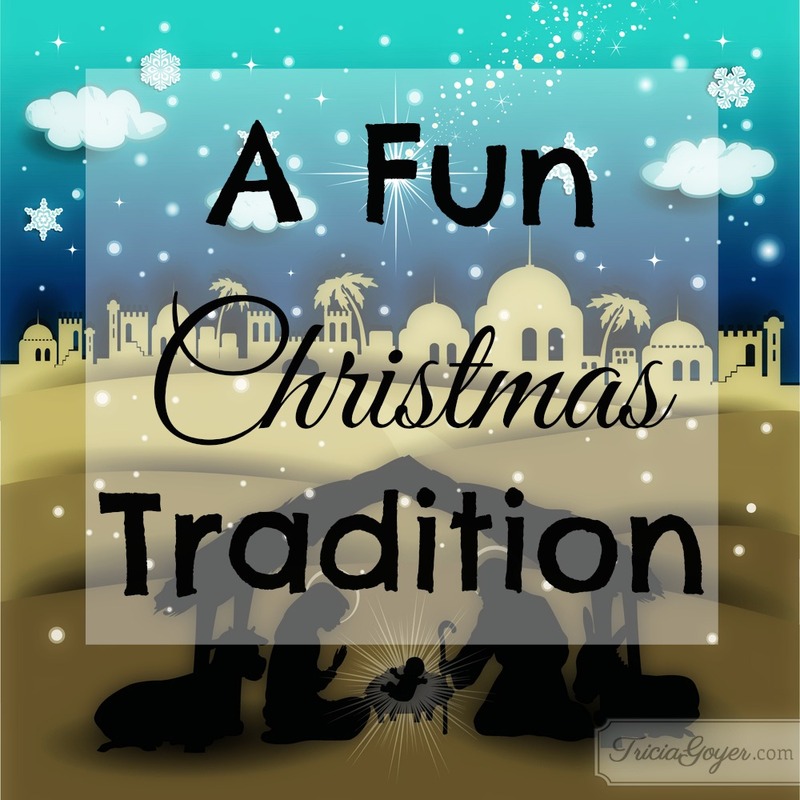 This allows for reader and listeners the ability to participate in the Christmas story. Feel free to change the call out phrase to fit the audience of participants. It’s a fun way to share the Bible Story and get family members of all ages involved! Before they came to the marriage bed, Joseph discovered Mary was pregnant. (It was by the Holy Spirit, but he didn’t know that.) Joseph, displeased but noble, determined to take care of things quietly so Mary would not be disgraced. While Joseph was trying to figure a way out, he had a dream. Gabriel spoke in the dream: “Joseph, son of David, don’t hesitate to get married. Mary’s pregnancy is Spirit-conceived. God’s Holy Spirit has made her pregnant. She will bring a son to birth, and when she does, you, Joseph, will name him Jesus, because he will save his people from their sins. This would bring the prophet’s embryonic sermon to full term: Watch for this—a virgin will get pregnant and give birth to a son; they will name him Immanuel. Then Joseph woke up. He did exactly what Gabriel commanded in the dream: He marriedMary. But he did not consummate the marriage until she had the baby. He named the babyJesus. About that time Caesar Augustus ordered a census to be taken throughout the Empire. This was the first census when Quirinius was governor of Syria. Everyone had to travel to his own ancestral hometown to be accounted for. So Joseph went from the Galilean town of Nazareth up to Bethlehem in Judah, for the census. As a descendant of David, he had to go there. He went with Mary, his fiancée, who was pregnant. While they were there, the time came for her to give birth. She gave birth to a son, her firstborn. She wrapped him in a blanket and laid him in a manger, because there was no room in the inn. As the angel choir withdrew into heaven, the shepherds talked it over. “Let’s get over toBethlehem as fast as we can and see for ourselves what God has revealed to us.” They left, running, and found Mary and Joseph, and the baby Jesus lying in the manger. Seeing was believing. They told everyone they met what Gabriel had said about this baby. All who heard the shepherds were impressed. Mary kept all these things to herself, holding them dear, deep within herself. The shepherds returned and let loose, glorifying and praising God for everything they had heard and seen. It turned out exactly the way they’d been told! They told him, “Bethlehem, Judah territory. The prophet Micah wrote it plainly: It’s you,Bethlehem, in Judah’s land, no longer bringing up the rear. From you will come the leader who will shepherd-rule my people, my Israel. Instructed by Herod, the wise men set off. Then the star appeared again, the same star the wise men had seen in the eastern skies. It led them on until it hovered over the place of the baby. They could hardly contain themselves: They were in the right place! They had arrived at the right time! The wise men entered the house and saw the baby in the arms of Mary, his mother. Overcome, they kneeled and worshiped him. Then the wise men opened their luggage and presented gifts: gold, frankincense, myrrh. In a dream, the wise men were warned not to report back to Herod. So they worked out another route, left the territory without being seen, and returned to their own country. Joseph obeyed. He got up, took the baby and his mother Mary under cover of darkness. 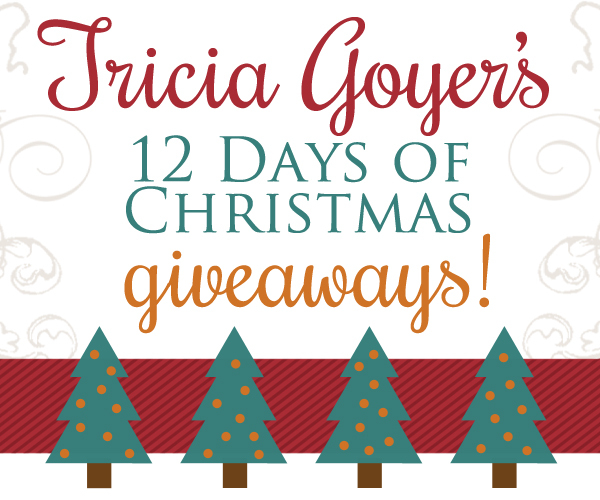 I’m celebrating Christmas with my favorite blog readers by giving away a different book pack each day! Today’s book pack is the Fiction Pack, which includes: Sweet September, Songbird Under a German Moon, and Love Finds You in Glacier Bay. Winners will be announced on my blog on Christmas day! It has always been tradition to gather around my grandpa to listen to the Christmas story. While reading there would usually be questions to make sure we were listening, understanding, and to get us thinking. No matter what the Christmas story was always read before presents and main focus was put there and not the presents 🙂 . This year will be a little different. My grandpa passed away in June and while he has of course been missed since but is now as Christmas approaches that I have heard from my cousins and younger sister that Christmas is going to be weird because he is not there. I love the reason that they follow for it being weird which is that is because grandpa was and is still so much apart of what is Christmas traditions and to be expected because of where he put the focus on at Christmas and reading all of us grandkids the Christmas story every year! What a great example and memory to leave on! We decorate the tree together and we sing and go to church. We use to tell the story each Christmas Eve, no children or grandchildren close. My father passed on on Christmas Eve so we spend Christmas Eve counting our blessings & remembering those who are close to us. We always read the Christmas story from the Bible and try to make Jesus the focus of our celebrations. I love your participation story. I think we’ll have to try that this year. My kids will have fun with it! I would love to do this, but I think we’ll going to make a gingerbread manger scene. I saw one yesterday, and it is so cute! We have always done a devotional after dinner along with our lighting of the appropriate candles of our Advent wreath. We have made scripture, ornament & candy filled Advent Calendars and sometimes we did that in the a.m. sometimes in the p.m. w/Dad home. Now the kids have grown and I have given them one of the Advent books we went through with the ornaments they made as kids to put on their trees. I wanted them to capture the Advent, waiting, time of preparation for the Messiah, Jesus. I love going through the names of Jesus, we made ornaments with those on them one year too. So many great years of preparation. Takes the hurry, rush, stress right out when we ask the Prince of Peace, peace that is nothing like our “usual” peace, enter into our hearts, minds & souls each Advent. Love this idea . . . will try with my family on Christmas, we are all adults but that’s ok . . . everyone will enjoy the gathering and reading of His story like we always do (with our without presents!). Thanks!!! Merry Christmas! All of your book covers are lovely & very interesting too! Please have a Blessed Day! We have been doing a study about the key people in the story, but your idea sounds like so much fun! I have really enjoyed reading these posts. Thank you. What a great idea! This year we are doing Truth in the Tinsel for the first time. My almost 3 year old is loving it. We read the Christmas story and pray together before opening gifts. After opening the gifts we have lunch and relaxation time before playing the “dirty santa game” with gag gifts. Always has been the Christmas story first. Then it is opening of gifts. Then of course we have to play with the new toys. Papa has a wonderful time with this. Making memories. We like to watch shows together that emphasize the religious aspect of Christmas. We read the Christmas Story and watch The Nativity Story movie. Thanks for sharing this cute idea with us, Tricia – a neat way for the kids to enter in, when we read the Christmas story! Thanks for the opportunity to win some of your books, also! We always start by singing Away In a Manger and Silent Night and then the youngest grandchild that is capable of reading the story reads the story from Luke. The grandchildren always look forward to being the one that can read that read. We sing happy birthday to Jesus after we read the Christmas story from the Bible! We decorate the tree together. We do try to all go to church together….sometimes its hard with distance. Thanks for the giveaways. I love your tradition! I might take that as my own! We have a very fun church and kids program that we are all apart of for Christmas. We listen to religious Christmas songs while decorating the tree. After the Christmas eve candlelight service at church we drive around and look at christmas lights and our tradition on christmas morning is to have each boy take turns and read parts of the christmas story from the bible. Our middle son is a drama king so he has us laughing during his reading. He likes to add sound effects like clip clops etc. May you and your precious family have Blessed Christmas. Usually go to the Christmas Eve service and then on Christmas everybody talks about past Christmas times that were memorable. May everyone have a blessed Holiday season. When the kids were little, we read the story out of Luke. I love this idea for telling the Christmas story! I will use it on Christmas eve with our sons and on Christmas day with my brother and parents. Our traditions keep changing as the family changes. Christmas eve is now spent with our sons and family and their friends. Christmas Day is spent with my family. My husband’s family is in PA so don’t see them often. Thanks for the giveaway. I’ve enjoyed the blog posts as well. Let the kids do a play here at home and sing songs. We have not shared a bible story at Christmas for years, but this post inspired me to change that! I hope you do not mind, but I copied your Christmas Game for personal use. I want to start playing it as a new family tradition next Christmas. I would start this year, but circumstances will not allow it. We go to grandparents house on Christmas eve and then to great aunt and uncle’s for Christmas brunch! My brother always reads the Christmas Story from the Bible before we open presents. We share a lot of joy and love when we’re all together. I grew up in a family that believed in God but He never had a prominent place in our lives. As an adult I have changed that. We never read the Christmas Story growing up and I don’t have children to read it with now but even as a child I loved the big book of Bible stories. My favorite thing we do at Christmas is simply getting together as a family, whole and complete except for my dad who passed away 4 years ago. I miss him still but I am grateful for the ones still with me.